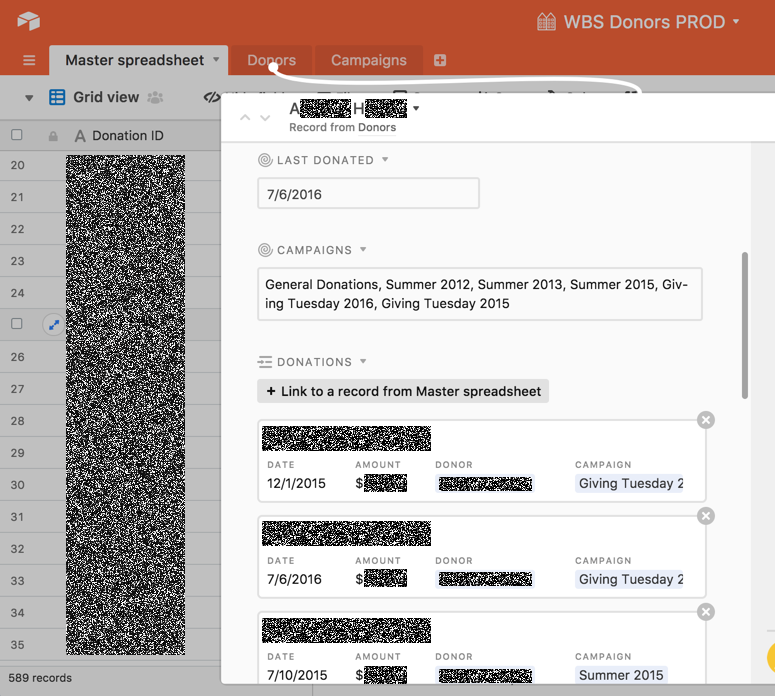 A growing nonprofit needed to track donations, gain insight into their most effective fundraising channels, and stay in touch with donors; donation data were scattered across Excel sheets. Build a simple relational database (using Airtable, which I highly recommend!). Worked with WBS's executive director to pinpoint needs. Designed a simple database, with a few of the most urgently-needed reports built in. Linked donation records with donor contact info, allowing for the creation of contact lists based on donation history. Skills: Airtable, Excel, Google Sheets, basic data architecture, teamwork to listen and respond to client needs.